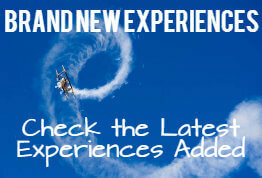 The UK’s number 1 place to book Flying Experience Days & Flying Experiences! So what is a Flying Experience Day exactly? Maybe you want to sit and look around for miles and miles from the safety of a plane or helicopter, thousands of feet in the air. Maybe you want to experience float above the clouds, looking hundreds or even thousands of feet down at the countryside or a famous city, champagne in hand and a loved one beside you. Maybe you want to experience the thrill and exhilaration of travelling 200 miles per hour, whilst rolling, spinning, and hurtling through the sky. Or perhaps you want to experience something new and exciting, whilst falling through the sky from hundreds of kilometers in the air, experiencing the ultimate adrenaline rush. Maybe you want to travel back in time and experience what it was like for our ancestors during war time. Forget maybe! 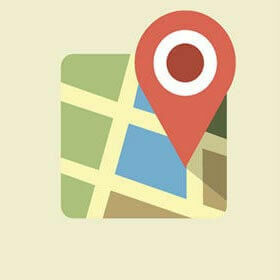 We have an experience to fulfill your needs. 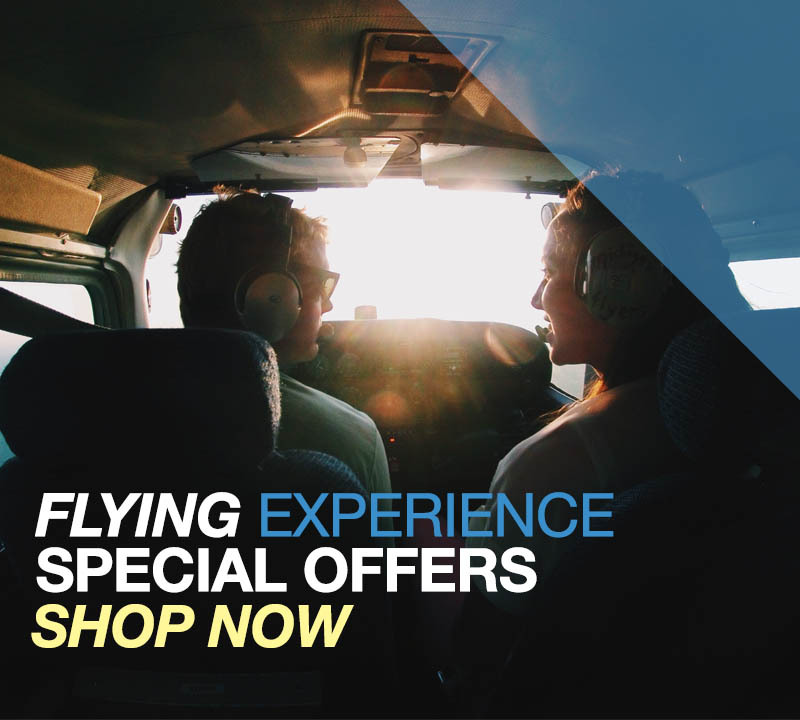 We have a plethora of flying experiences and flying gifts to suit everyone’s needs. From flying lessons with highly qualified instructors to flight simulators using state of the art technology, the same as pilots use to train. Aerobatic flights so that you may feel the exhilaration of being a Red Arrow to pleasure flights where you can sit back and just enjoy the breathtaking views and scenery from thousands of feet in the air. Hover over famous sites, cities or beautiful scenery in a helicopter. You can find experiences that will take you on an historical journey like the Dambusters to VIP flights over London. You can get a flying experience over Portsmouth, Liverpool, Oxford, the Isle of Wight and many many more. Maybe you just want to experience what it is like in a helicopter. We have very affordable short flights too. If you prefer a more natural experience powered by the wind we have something for you too. We have a great selection of balloon flight experiences. Experience tranquillity and peace as you drift over the beautiful British countryside. If you fancy something a little faster we have gliding, paragliding and microlighting too. Sore like a bird and glide across the country taking in the views and sites along the way. If you are a thrill seeker then say no more. We have a list of skydiving and parachuting experiences to satisfy even the hungriest adrenaline appetites. We offer tandem and introductory skydiving experiences. If you need to build up to it first, no problem. You can experience and practice skydiving without a worry on one of our indoor skydiving experiences. We have static line parachuting and even parachute simulators if you want to feel it out before you even step into a plane. 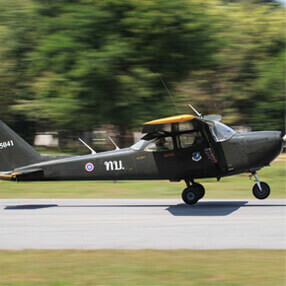 For those of you who have an eye for the past we have you covered too with our vintage flying experiences. Take flight in the famous Tiger Moth biplane. Imagine flying in the 1930’s, patrolling the coast and preparing for anti-invasion duties. You could even take flight in the historically famous Spitfire, the hero of the Battle of Britain. 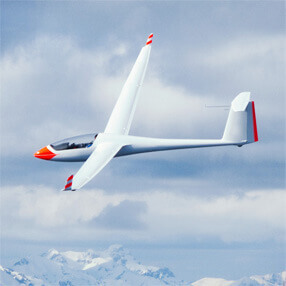 Whatever your aviation dreams and ambitions are, we have whatever you need here at flydays.co.uk. Also use flydays.co.uk to find the ideal treat and gift for a loved one, friend or family member. We have cash value vouchers from £50 - £400 which can be used to book anyone of our experiences on the website. For some there is nothing better than a flying experience gift for birthdays, father’s day, mother’s day, anniversaries or Christmas. 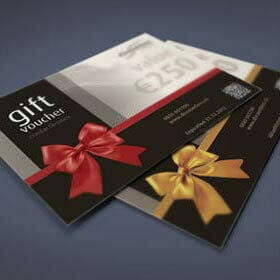 Optionally, you can have your gift voucher send in a presentation pack just to put the icing on the cake. Our presentation packs contain a stylish presentation gift tin, essential gift information, unique gift voucher card and personalised message. At Flydays we are independant, which means we aren't tied to a provider. This means we can offer you or another our mindblowing experiences at many different airports around the UK and Europe, we also can offer you non-biased advise on the best experiences and events to suit your requirements. You will find nowhere better than us! We have a huge variety of experiences to choose from. To view these amazing offers browse our experiences page. We regularly have special offers at key times of the year, including holidays such as Christmas and Easter, we also have promotions for key shopping periods like Fathers Day, Mothers Day, Black Friday and Cyber Monday as well January sales. Find your perfect gift at flydays.co.uk. When you buy a voucher from flydays.co.uk the recipient will have complete flexibility with what they use it for. So if your browsing around our site for a present for a loved one or friend, but you can't quite decide what experience they'd like most, buy them a gift voucher. Gift vouchers are a quick and easy way to buy a gift from fly days or one of our partner sites. Just pick the amount you want on your voucher, and order. You can also choose a personal message and if chosen, your voucher can arrive in a gift tin. There is no need to worry if the price of the experience extends that of the voucher, because you can top up the voucher anytime to match the price.